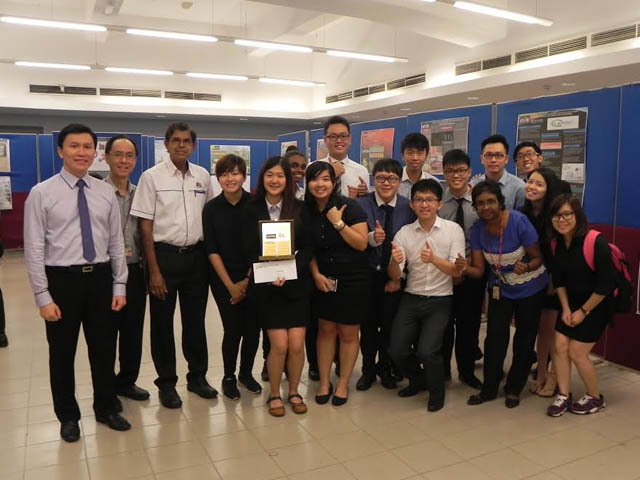 The Faculty of Engineering and Green Technology (FEGT) and the Institution of Engineers Malaysia (IEM) Student Section Kampar Campus again co-organised a Final Year Project (FYP) Poster Competition on 24 August 2016 at Kampar Campus. Organised for the fifth time, the biannual competition aimed to showcase all FYP outcomes as well as to nurture research interest amongst FEGT students. With sponsorship by IEM, the competition saw 92 innovative entries with various research areas ranging from green building to sustainable engineering. Invited to judge the competition were Immediate Past Chairman of IEM Perak Branch Assoc Prof Ir Dr N. Perumal and Civil Representative of IEM Perak Branch Dato’ Sri Ir Dr Don Liew Mun Hon. 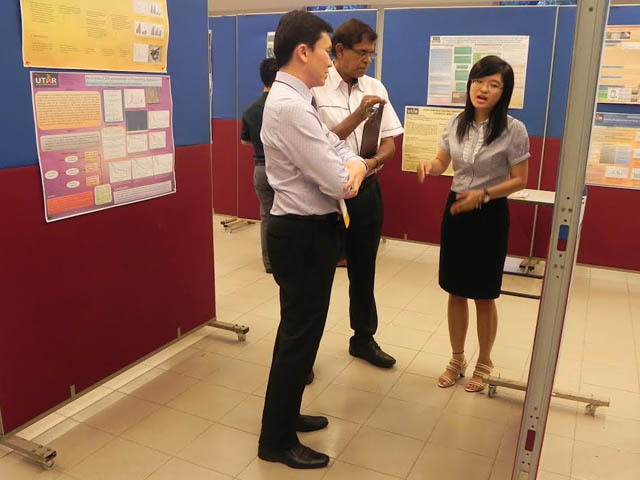 Both judges were tasked to select the best three posters among the top five shortlisted posters. Also present at the ceremony were FEGT Dean Dr Yap Vooi Voon and faculty staff members. Of the 92 posters, 15 posters were first shortlisted by the five FEGT departments, namely the Department of Construction Management, Department of Electronic Engineering, Department of Environmental Engineering, Department of Industrial Engineering and Department of Petrochemical Engineering. A series of elimination rounds coordinated by the judges were also held in search of the three best posters at the final stage. Besides the top three winners, 12 other shortlisted posters were also awarded a certificate each by IEM Perak for their discoveries. 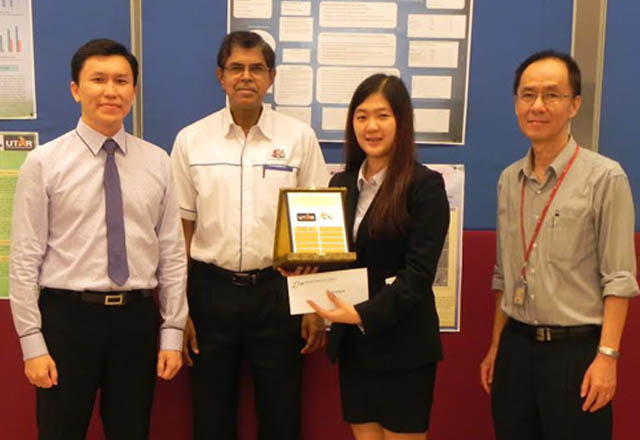 Environmental Engineering student Luk Mei Kwan’s FYP titled “Photocatalytic Degradation and Chlorination of Azo Dye in Saline Wastewater” won her the first place, while Construction Management student Jessica Eng Hui Ching and Electronic Engineering student Thee Kang Wei won the honour of second and third place respectively. Their winning posters were titled “Comparative Study of Users' Perception on the Benefits of Heritage Buildings Conservation” and “VLSI Design Flow from RTL to GDSII” respectively. 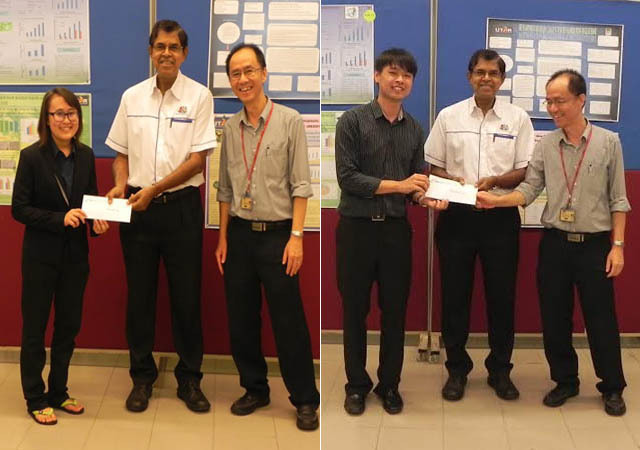 Luk walked away with RM100, a challenge trophy and a certificate, while Eng and Thee took home RM70 and RM30 respectively as well as certificates.